TV fans have had plenty to celebrate in recent years. With the emergence of streaming video, consumers are now able to watch what they want whenever they want, and the trend has even allowed some platforms to invest in creating their own original series. The three big names that come to mind these days are Netflix, Amazon, and Hulu – all of which run their own streaming service and produce their own shows and movies. However, a recent study conducted by Parrot Analytics shows that one brand outperformed the other two by leaps and bounds when it came to original content in 2016. The report shows that demand for Netflix original content was eight and nine times greater than the demand for Amazon and Hulu, respectively. Other services lower on the totem pole, such as Crackle, had demand that was 60 times lower than Netflix. 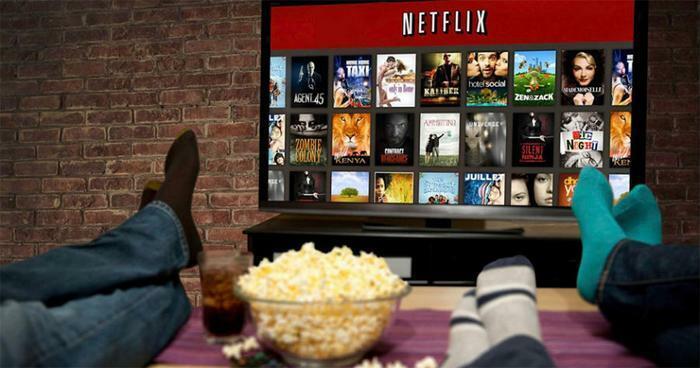 So, what is it that makes Netflix so much more popular with consumers? Researchers at Parrot say a big part of it has to do with the sheer amount of content the brand produces. The release of catchy new series at different times of the year shored up Netflix’s numbers and added to its popularity. “Netflix’s true strength is in its constant production and release of new, buzzy content: After the premiere of Stranger Things in week 28, demand increased to new heights. Other new hits such as Marvel’s Luke Cage in week 39 and The OA in week 50 continued to build on this popularity, leading Netflix to end the year with over 2.7 times more demand than the other three platforms combined,” the report states. However, the researchers say that Netflix’s success last year wasn’t all due to quantity. Many of its most popular series also continue to rake in views from consumers at great levels. “Netflix’s veteran titles still attract significant amounts of demand, such as the peak in March (weeks 9-13) from the fourth season of House of Cards and the second season of Marvel’s Daredevil,” the firm points out. The researchers measured the popularity of each platform through Demand Expressions. This involved collecting and analyzing cross-platform, country-specific measurements for video streaming, social media activity, photo sharing, blogging, comments on fan and critic platforms, and download and streaming rates.